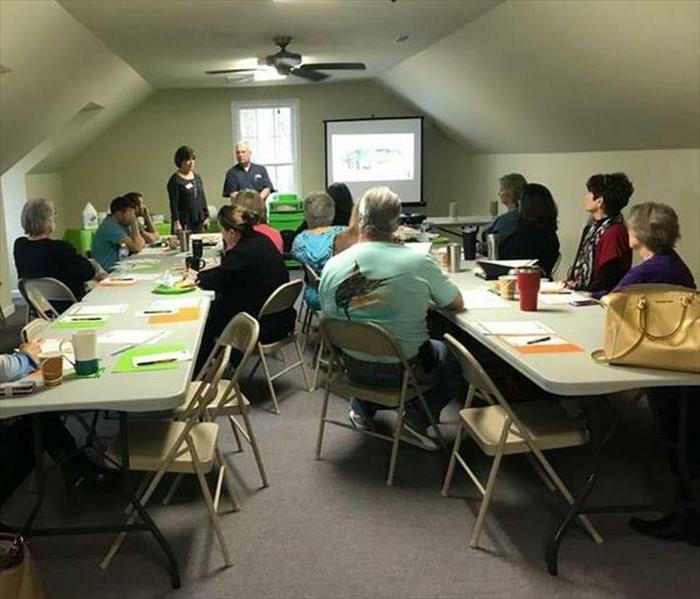 All our staff are put into ongoing SERVPRO corporate training and certified to follow IICRC Guidelines and OSHA regulations. Our production team are all coordinated and have knowledge to handle jobs of many peculiarities. They sight out what is needed to be done and do so in a safe and timely matter. Our office workers work 8 to 5 making sure all customers are happy and understand the process that the client is having to take. 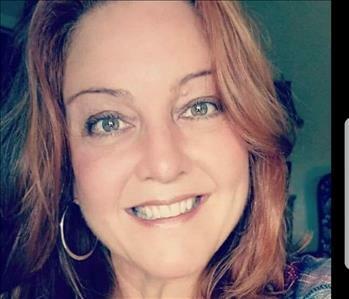 They know how to handle adjusters and insurance companies to do their best making all transactions smooth. 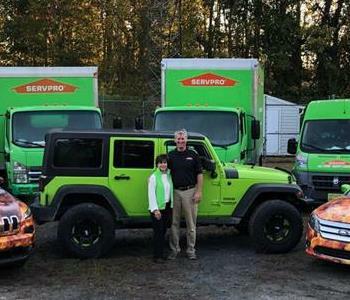 Here at SERVPRO of Roanoke Rapids, we specialize in fire, smoke, and water damage restoration and cleanup, commercial and residential. 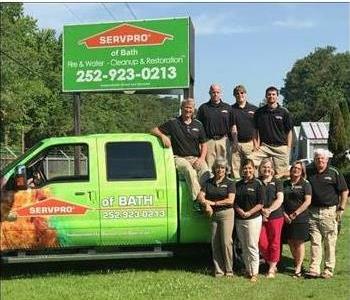 We can also perform mitigation on mold and mildew on your home or business. Our franchise owners, John and Cindy Baldwin, have over 30 years’ experience as luxury homebuilders. With a background in construction, and over a $100 million in completed construction projects, we understand all aspects of the building and restoration process. Always working with the community and raising awareness of the causes of these losses. If you have any kind of need of our service, please do call. We will perform our services as quick and efficient as possible!